Rashi Khanna is penning her thoughts. As Women’s Day is fast approaching the actress has penned a poem on women. As part of the International Women’s Day, actress Raashi Khanna has penned a poem on women two days back. How many of you liked the poem? One who didn’t read till now once again for you. I am not the length of my dress, I am the beauty that blazes within. Beauty actress Rashi Khanna has unveiled a special video on the eve of International Women’s day. It is titled as ‘Believe In You’. 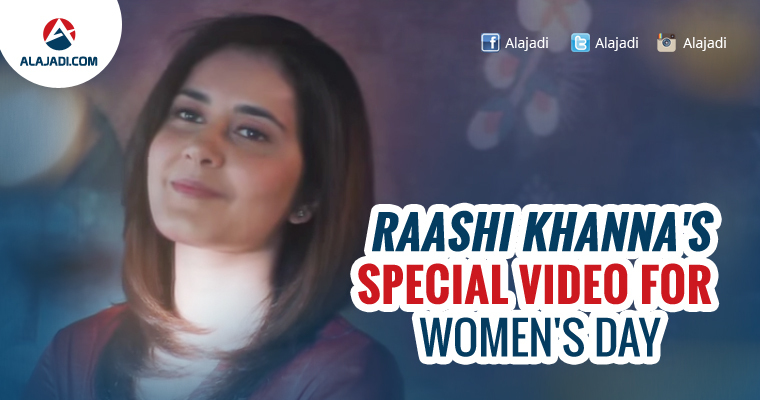 The video features Raashi Khanna who urges women to be the best version of themselves. The video has been written and directed by Jennifer Alphonsse and Raashi has narrated the lines in the video. Rashi posted in her Facebook page ‘I am ecstatic to share my first productional venture. A lot of thought has gone into its making and it means a lot t o me. I hope you love it as much as we loved shooting for it. Looking forward to your thoughts Lots of love. Always.#believeinyou.’ In fact, Raashi has also given her voice over for the video. A glimpse of this video will released today at 6 pm. The best part is that the director of this video is also a woman. Jennifer Alphonsee’s passion is seen in every frame. It is 2017 women, please open your eyes at least now, take this video as an inspiration and I am sure you guys too can make wonders. Finally, we have someone telling us to believe in ourselves. She has questioned us about so many things in this video which will really put us into deep thought. Why should we compromise? Why should we give up? Why should we constantly fight to compete with men? She answered these questions in the best way possible. Our souls have no gender, yet women are fortunate to have the best expression in the world. She rightly said that every woman is Power full, Beautiful and Deserves every chance. Currently she is in shooting for her debut movie in Malayalam and in Telugu. Raashi Khanna in Ram Charan’s next project? 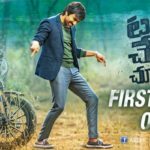 First Look: Raviteja’s Touch Chesi Choodu!